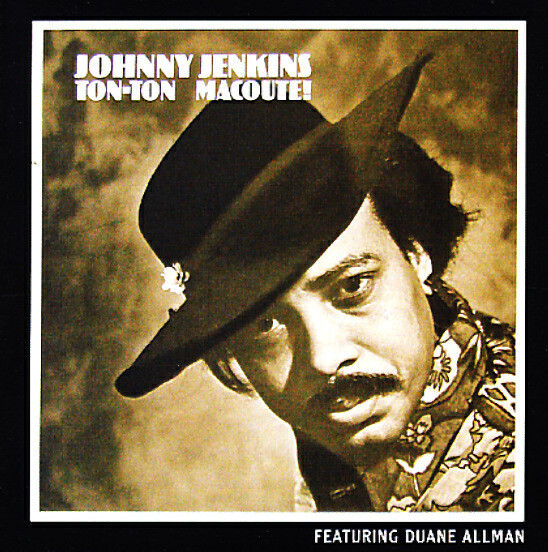 An excellent bit of raw funky southern soul from Johnny Jenkins – recorded in Macon, GA, and one of the last relics of the relations that Atlantic Records had with all of the little local scenes in the south! Ton-Ton Macoute is one of those records that manages to blend funk, blues, and southern rock & soul way, way better than so many pretenders from the time – just a damn near perfectly realized set ! Johnny Jenkins sings, stomps, plays guitar and blows harp (with some extra help from Duane Allman on the guitar front), and he runs through tracks like "Blind Bats & Swamp Rats", "Sick & Tired", "Voodoo In You", "Rollin' Stone", "Bad News", "Down Along The Cove", and the absolute classic, classic breakbeat track "I Walk On Guilded Splinters". Features the bonus tracks "My Love Will Never Die" and "I Don't Want No Woman". © 1996-2019, Dusty Groove, Inc.